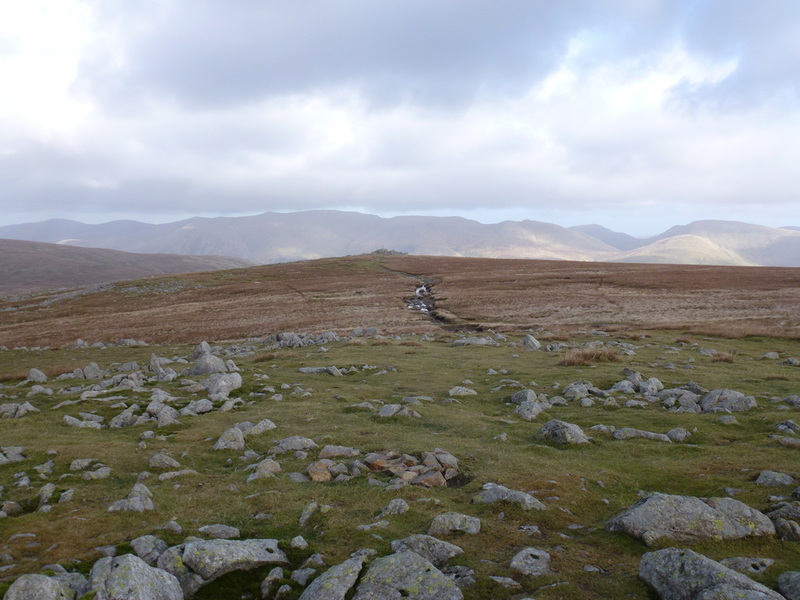 Good paths generally throughout but boggy between Thunacar Knott & High Raise. 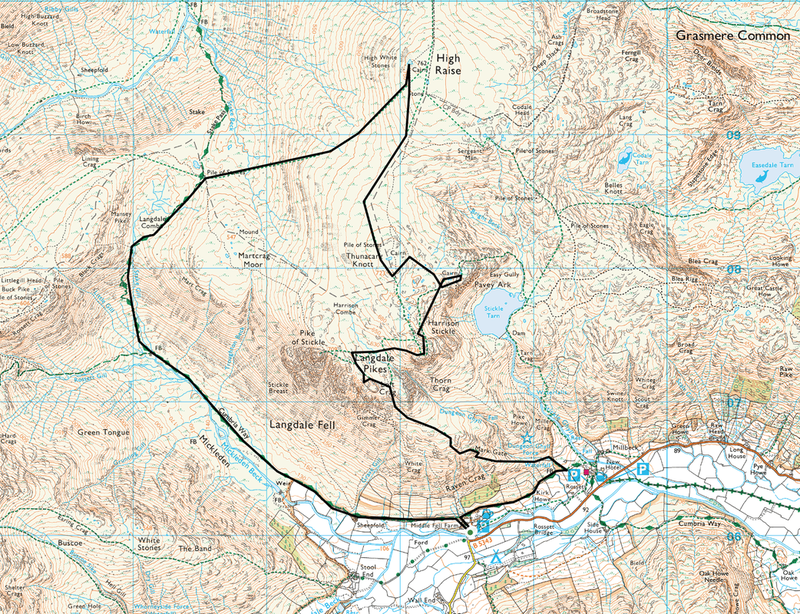 The path between High Raise and the Stake Pass is very intermittent. 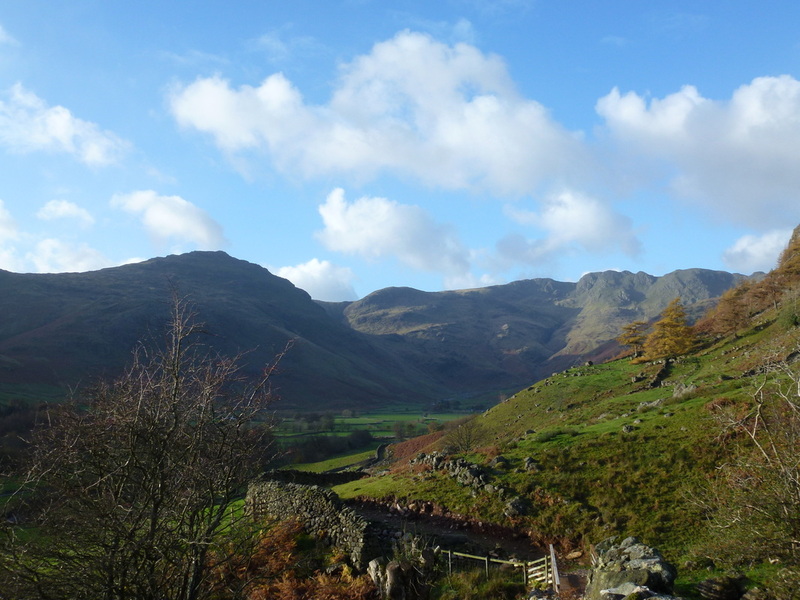 All was promising at the start with the weather forecast - clear skies yet very cold, it promised to be a good day on the fells in the beautiful Langdale Valley. 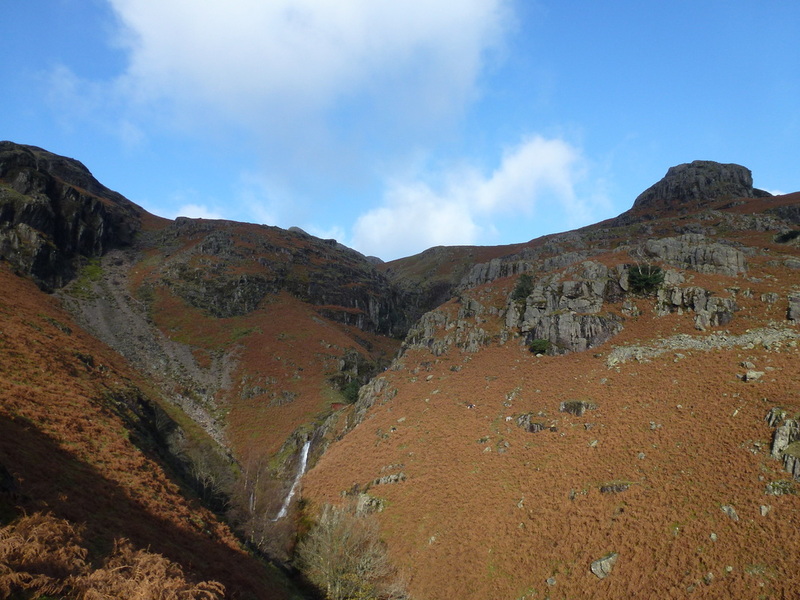 We set off from the Old Dungeon Ghyll Hotel up to near the New Hotel where we then doubled back on ourselves in order to make our way up Mark Gate to make the long ascent up to Loft Crag, the first of the 3 Langdale Pikes we hoped to get up today. 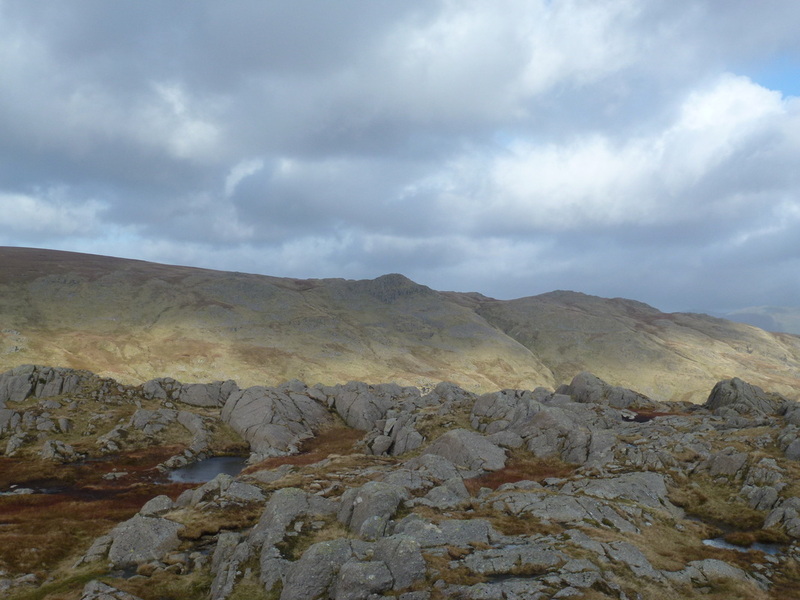 Reaching Loft Crag someone in heaven turned on a very large wind machine and we were almost blown off the top. 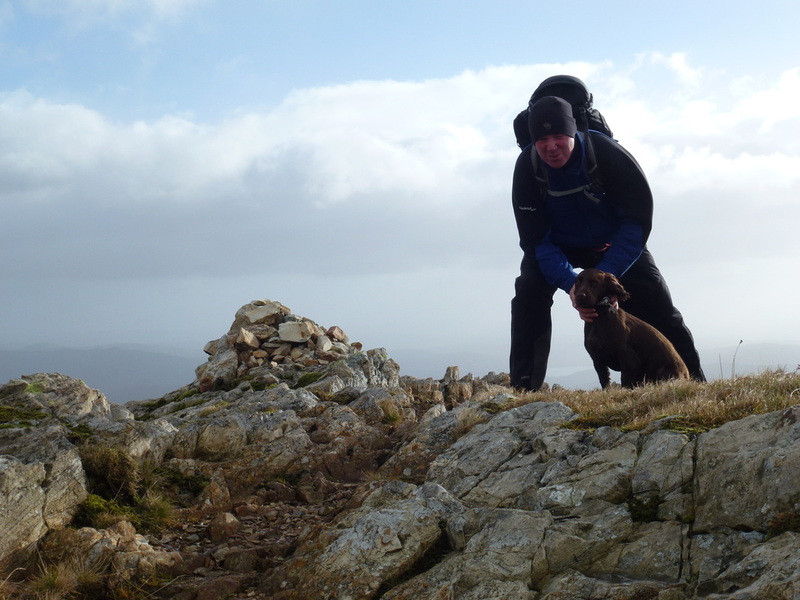 Having had a think about it we decided against going up Pike O'Stickle as the wind was making it just too dangerous. 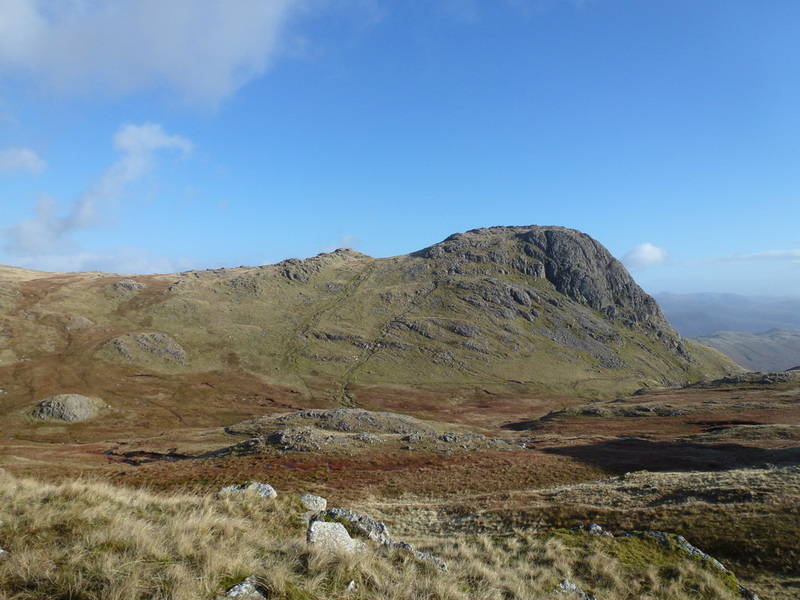 We instead made our way to the flatter and less intimidating summit of Harrison Stickle where the wind dropped markedly. 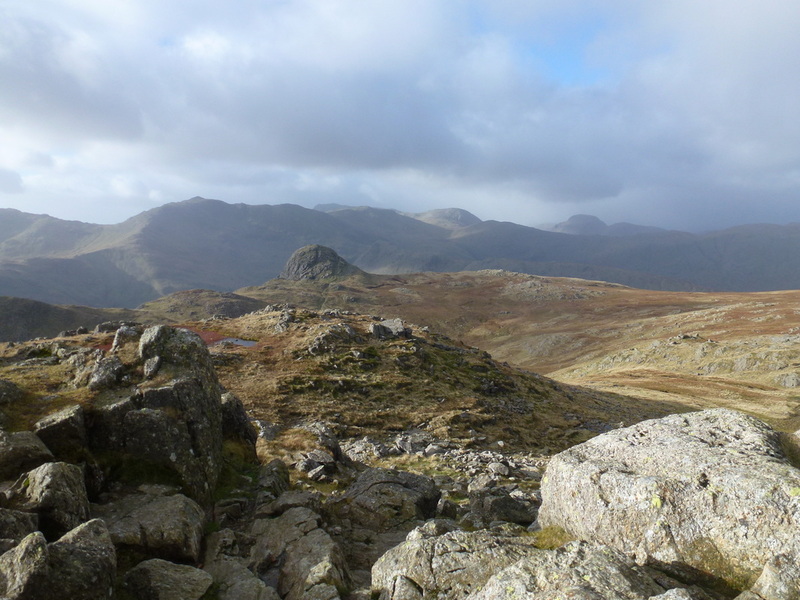 People were still going up Pike O'Stickle but we decided not to go back and instead made our way over to Pavey Ark and then over to Thunacar Knott. 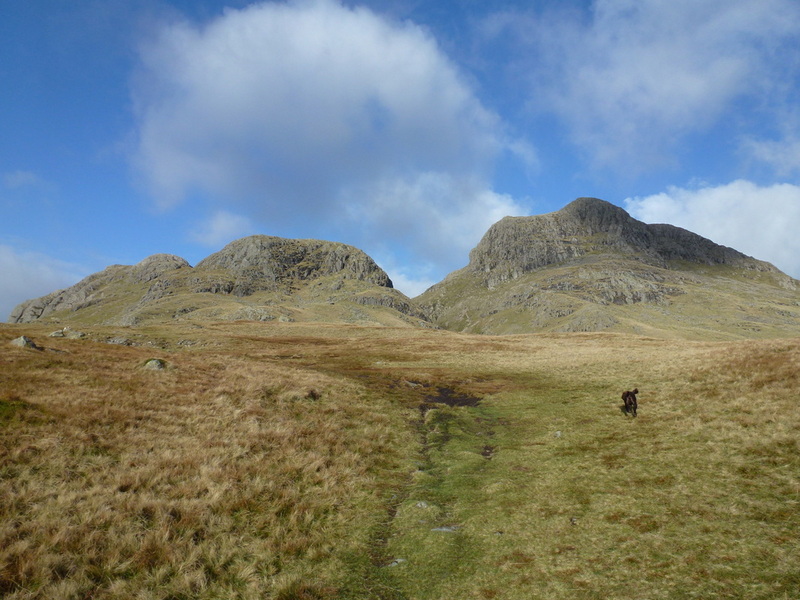 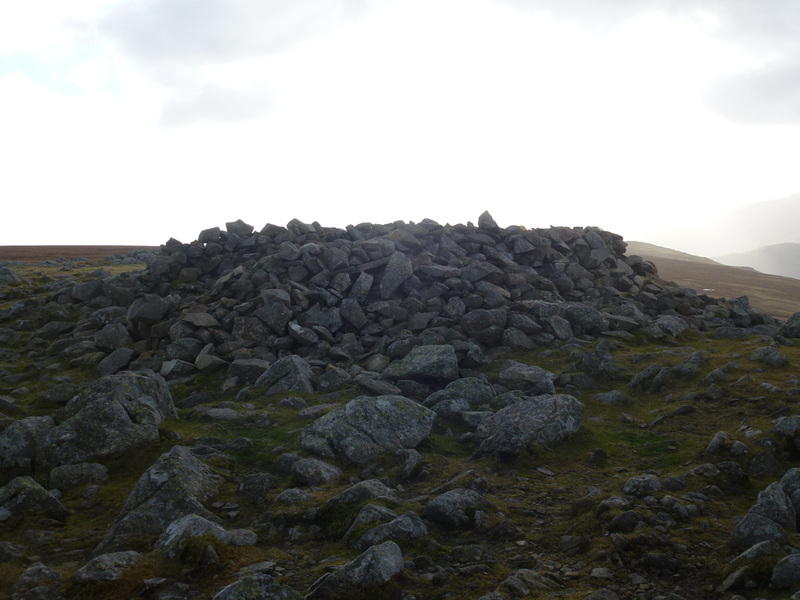 There is then a long trudge up the grassy path to the Summit of High Raise where we enjoyed great views and Fudge tried in vain to steal the sandwiches of a couple who were having lunch in the shelter. 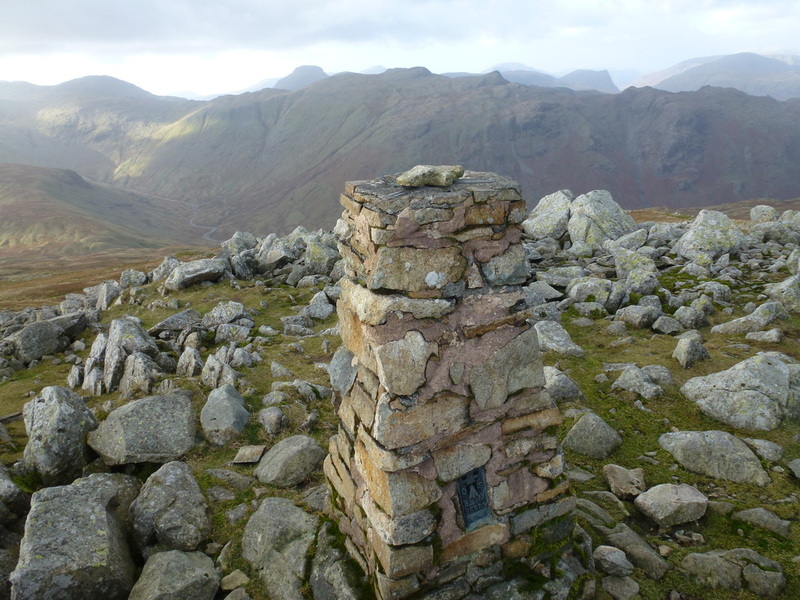 There is then a long descent down to the Stake Pass on a path that is very intermittent and we kept losing the path and then finding it again - we knew if we carried on down the hill we would eventually hit the Stake Pass anyway therefore were not too put out that we were not following the true path. 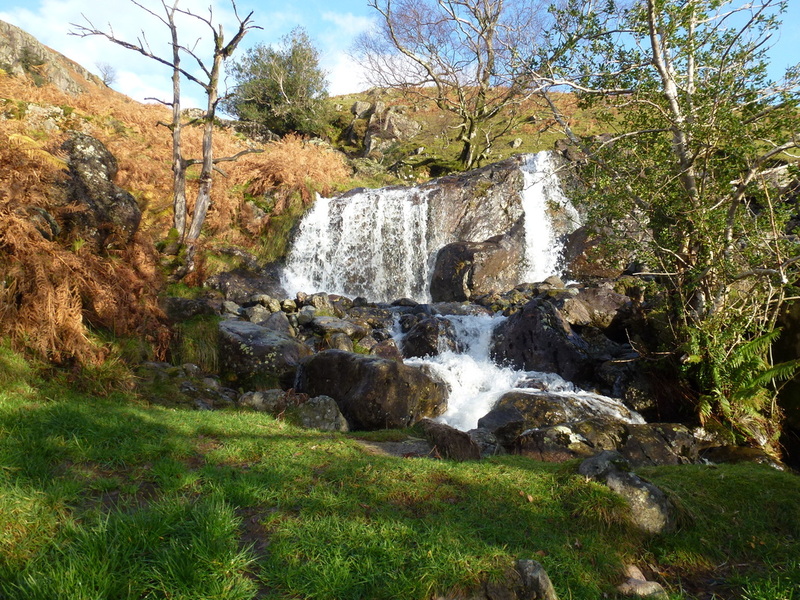 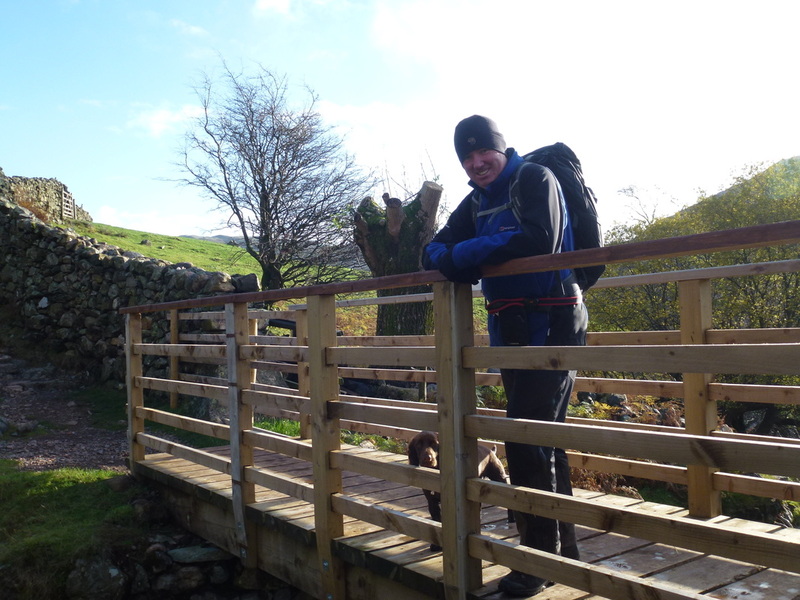 We then travelled along the Stake Pass and on reaching the footbridge near Rossett Gill we enjoyed a lovely walk back down through the valley of Mickleden. 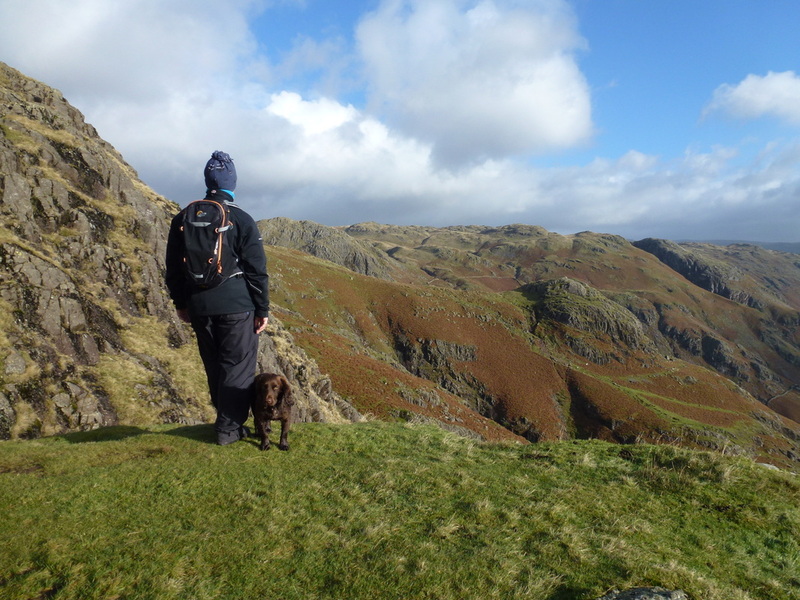 Despite not completing what we set out to do, this was a fantastic day out on the fells in a beautiful area of the Lake District. 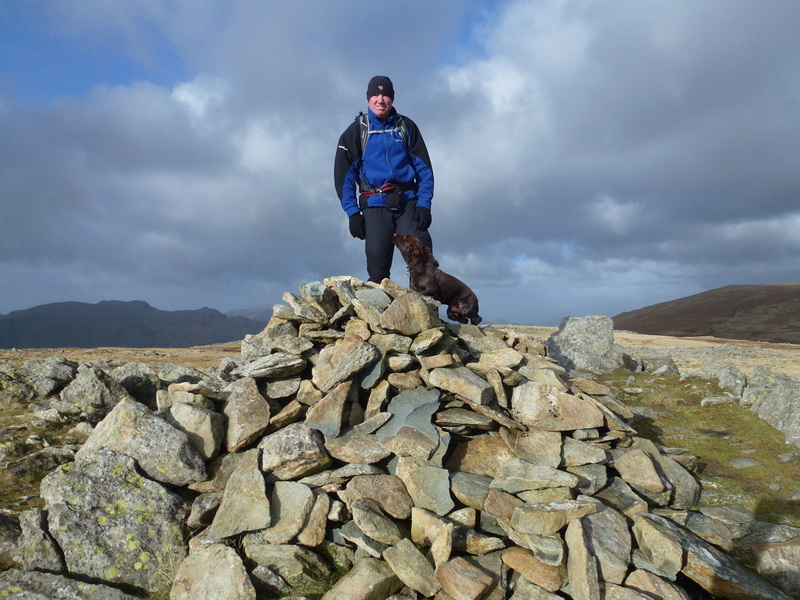 Outrageously windy on the summit of Loft Crag!